When time is at a premium, every good host looks for delicious shortcuts. And here is a perfect solution: why not build a glam soirée around a few great cheeses paired with some good wines? Or maybe you are at a fine restaurant. Or at a wine tasting. Or at a gallery opening. Or… you get the point. Fact is that wine and cheese are popping up everywhere. There is just one problem. 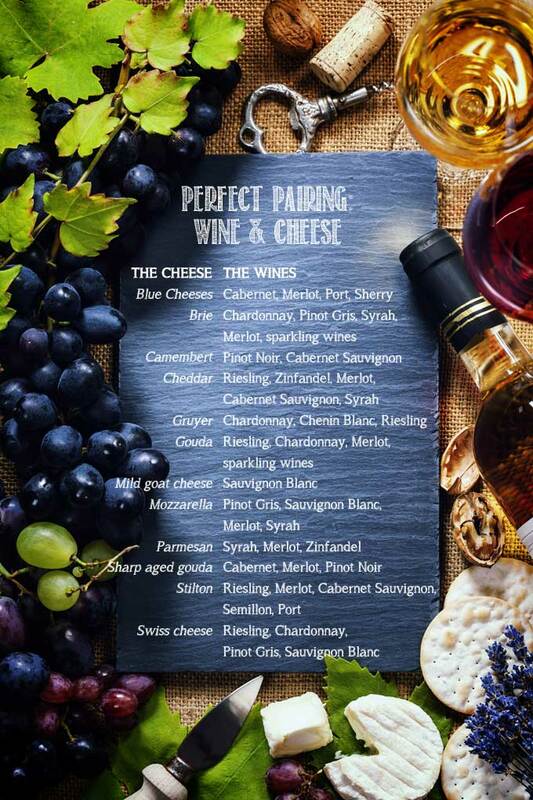 Both cheese and wine are intricately flavoured substances, so get it right and you have a sheer sensory experience, where the flavours dance together. However, get it wrong and you will find the wine tasting bitter or the cheese tasting sour. So, if the thought of matching the myriad cheeses and wines curdles your confidence, here is a quick checklist. Pair light wines with light cheeses and heavy wines with heavy cheeses: A light cheese is typically a fresh or semi-soft cheese that is aged less than a month. And a young wine is defined as crisp, higher in acidity, lower in alcohol (10-12%) and exposed to very little oak. As the alcohol percentage goes up, the wine develops more body and needs an older, more complex cheese. For instance, a fresh goat cheese will work with a crisp Sauvignon Blanc, while an aged goat cheese goes well with a full bodied red. Match the texture of the cheese and the wine: For example, a brie, with its fluffy, whipped cream texture, pairs well with a champagne or other sparkling wine. On the other hand, a dense cheese like a vintage gouda requires would totally overwhelm a light sparkler. Instead, get a full bodied “heavy” like Zinfandel or Syrah. Look at the notes: Going further, match cheeses rich in butterfat flavours with fat-flavoured wines – Chardonnay, with its vanilla and toffee notes, goes nicely with a gouda or brie. Ever tried and wine and cheese pairing? What’s your favourite combination?